In the two months since Amtrak 188 derailed in Philadelphia, killing eight people and injuring hundreds, the train giant has said that it’s making a number of changes to ensure better railroad safety. But is it really doing much beyond what it was already supposed to before the crash? That depends on who you ask. 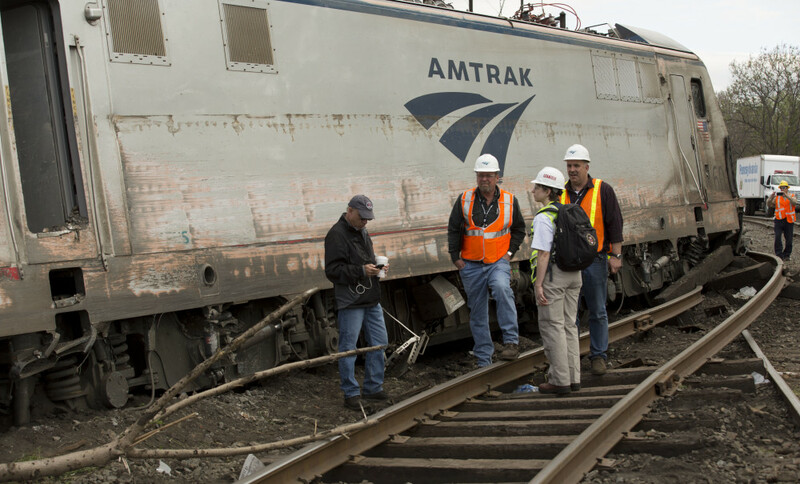 Amtrak says it’s made a number of technological changes in wake of the crash to improve safety features. However, that admission came after the National Transportation Safety Board basically said the crash could have been prevented if Amtrak had it’s stuff together. The major feature on railroad safety advocates’ list for decades is a way to automatically slow down trains on certain segments of track. Called Positive Train Control technology, federal regulators had mandated that all passenger train companies have it installed by the end of this year. The NTSB said this would have prevented the train, operated by engineer Brandon Bostian, from hitting 106 mph as it flew around a rated-for-50-mph curve in Philly. Amtrak will be done installing PTC by the end of December, thus making the deadline and becoming the first “Class 1″ railroad company to do so. Spokesman Craig Schulz says the company is in the process of putting in “Advanced Civil Speed Enforcement Systems” to ensure trains are operated at safe speeds along the Northeast Corridor, spending more than $110 million since 2008 to install PTC. The company also is quick to point out that in the immediate aftermath of the crash, it installed (read: fixed) a “code change point” in the signal system on the eastbound tracks just west of the Frankford Curve, meaning that trains traveling east from Philadelphia to New York approach the curve at 45 mph in accordance with the speed limit there. They’re not so quick to point out that this technology was previously required. Amtrak, according to Schulz, has also committed to installing inward-facing video cameras in its fleet of ACS-64 locomotives in service on the Northeast Corridor by the end of this year and will comply with additional Federal Railroad Administration regulations released earlier this year. Cameras like this would have shown what, for instance, Bostian was doing as the train hit the curve at nearly double the recommended speed. But the lawyers circling this case say these actions are a day late and a dollar short. Bob Pottroff, a Kansas-based attorney who’s a railroad safety expert, is consulting with several of the personal injury lawyers who are representing victims in lawsuits against Amtrak and other parties. A number of those court actions have already been filed, including two of behalf of families whose loved ones were killed in the crash. It’s expected the lawsuits against Amtrak will be consolidated, and the company will only be liable for a total of $200 million because of a cap put in place by Congress in 1997. This means that no matter how many people are killed or injured in a train crash, Amtrak will never be asked to pay up more than $200 million in total. Pottroff thinks removing this cap would be the best way to get large railroad companies to stop dragging their feet on installing new and better technologies that he advocates should have been installed years ago. “If you really want to scare the hell out of the railroad industry, the first thing to do is remove the damage cap,” he said. “They’re saying ‘we’re never going to have to pay more than $200 million,’ so any project that costs more doesn’t make sense. And for Amtrak, someone has to be concerned about saving money. The transportation giant is staring down potentially massive cuts to its federal funding, after $270 million in cuts were approved by the House along party lines right after the crash. Democrats and safety advocates have rallied against slashing of funding. Meanwhile, Amtrak is still focused on making train trips — especially along the Northeast Corridor which had 11.6 million riders in fiscal year 2014 — faster. Slowing down trains when they go around curves would counter those goals. Pottroff said his fear is that Amtrak can make promises in wake of accidents, but he says the FRA hasn’t set up penalties for what could happen if the company doesn’t follow through with regulations in a timely manner. He says there aren’t any checks on the company.